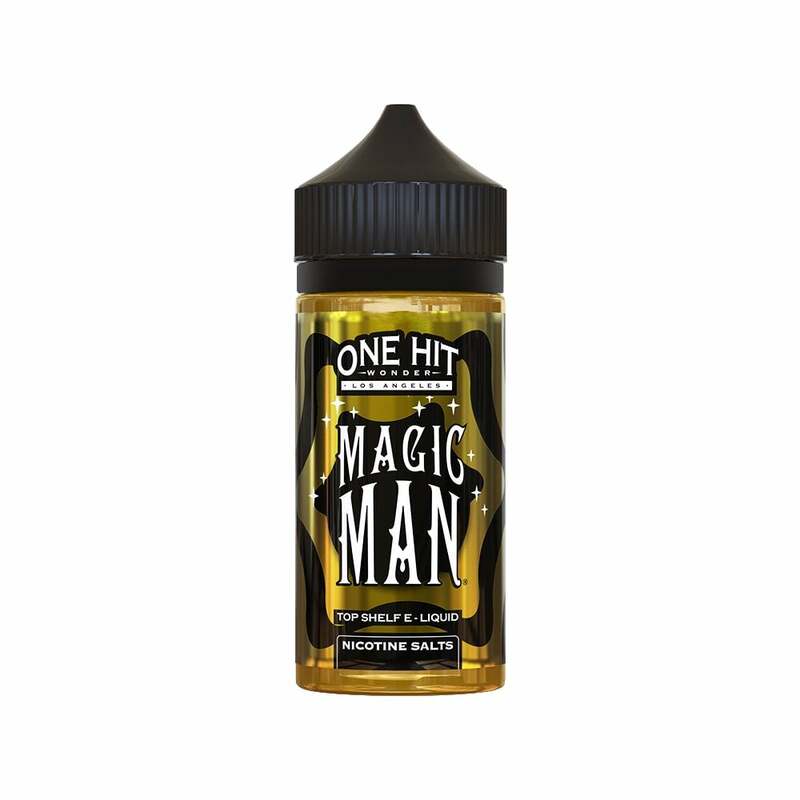 Magic Man vape juice by One Hit Wonder is a crazy combination of gummy bear candy. One Hit Wonder have a great reputation for their complex and authentically flavored e-juices and Magic Man is no different. Enjoy the satisfying sweetness of the gummy flavors mixed together. This is my favorite juice hands down! I am fairly new to the vaping but I’ve bought and tried close to 100 different juices. Very few come close to the magnificent flavor this produces. Almost no taste, and what little taste it has tastes like sand. Produced nice clouds, juice was clean on my RDA, didn't gunk up the cotton. Very tasty but taste gets a little dull after a while but I think thats just me.